Book #19 came as a birthday present. Light Princess had seen the film, “The Story of Stuff,” and wanted me to be as well-informed as she is. 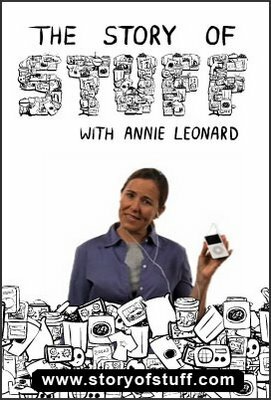 Annie Leonard expanded on the film in her book, The Story of Stuff: How Our Obsession with Stuff Is Trashing the Planet, Our Communities, and Our Health-and a Vision for Change. Leonard describes the problems in Extraction, Production, Distribution, Consumption and Disposal. In the appendices she offers practical suggestions for individual actions. Naturally, it’s depressing. The world is a dirty, nasty mess. It’s easy to see why the average person feels overwhelmed. How can one person make a difference in the face of corporate practices that emphasize profit over all else? We live in a state where you can’t dump your TV at a landfill (yay, Maine! ), and we didn’t toss the old ones in the digital conversion, and we recycle, and I haven’t purchased makeup (full of toxins) in years, and I’ve cut down drastically on the purchase of bottled water. I read books on my first generation Kindle and just contributed a carload of old books to be resold at a church fundraiser. We try to use our cars as little as possible, though in my line of work, that’s not saying much. We have a lot of old computers, and I worry about that. As we look at the possibility of moving, they need to go to the appropriate place (which our city has available), but what happens to all that electronic equipment next? I just can’t see myself with a compost bin full of worms by the back door. I’m sorry if that makes me a bad person. My worst offense, using Leonard’s measure, is having too many shoes. I can only commit to give away the ones I’m not wearing anymore. What do you feel you do right? Where do you think you could improve where over-consuming is concerned? Previous postWho is My Neighbor? I recycle. I only buy bottled water in emergencies–and in this state you pay a deposit on those bottles just like soda. I try to dispose of electronics correctly. I don’t own a TV. I’m trying to get our parish not to use paper plates, throw away cups and plastic silverware anymore (well, at least not as much) and to recycle the office paper (which they surprisingly weren’t doing when I got here!) I use public transportation if possible (not possible locally but when I travel I take the train as often as possible). I drive a somewhat efficient car. But I do wear makeup and I’m not likely to give it up–although I’ve started buying it at Whole Foods and Body Shop so hopefully it has less toxins. And I’m not likely to stop buying books–or shoes. Even though I don’t buy bottled water I do buy other drinks in plastic containers that I could do without (iced tea and diet coke). If I could live where a car wasn’t necessary I’d give it up in a hot minute. Recycling has been mandatory here for over 20 years. We have a water filter instead of bottled water, and we compost. Composting is yucky, but the tomatoes love it. When we moved, two years ago, to a place where recycling is mandated-and comprehensive–I couldn’t believe how much less trash we produced weekly. Composting helps, too. 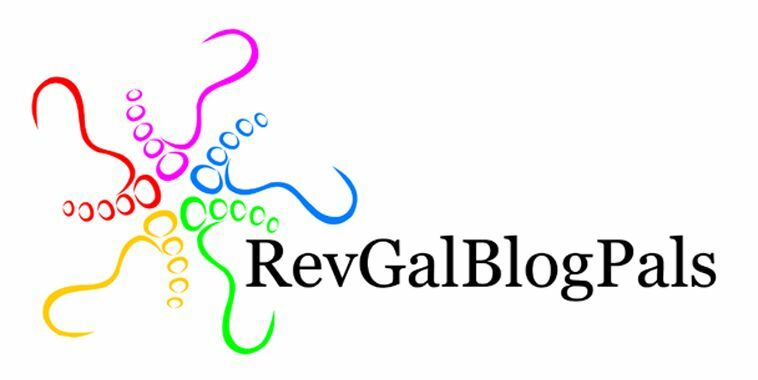 I totally share your love of shoes! Gosh…mandatory recycling! Just in the last 10 years we had to FIGHT to get curbside pickup here…and I am devoted to it. We don’t have to sort, just dump all items (paper, cardboard, cans, plastics 1-7) into one bin and wheel it out on “Trash Day.” I like to think of it as “Recycling Day” and play a game with myself about how little can be in the OTHER bin by contrast. I try to never buy bottled water, but if I do I refill the bottles several times before recycling. Public transportation? Not here, not yet. Sigh. I CAN walk to work very readily and need to do more of that…though I keep coming up with excuses (90% chance of rain today; meetings or Dr. appointments right after work or during the day – you see how it goes). I just got a Sony E-Reader for those books I simply MUST buy, but I prefer the library. I’m trying to buy all my clothes either from small fair-trade or U.S.-based worker co-ops or via the secondary market of thrift shops. I’m determined to no longer support the clothing industry’s shoddy, irresponsible approach, energy-intensive chemical-laden production methods, and utter disregard for the health and well-being of their workers. That means I buy less–way less–but my purchases are far more judicious than they used to be. It isn’t easy, particularly for one trying to assemble or maintain a professional wardrobe, but it can be done. The items made by fairly-paid U.S. workers (Deva Lifewear is a good source) last several years. At the thrift shops I’ve found tailored wool blazers for $8, decent dresses and blouses for $4, slacks and even occasional underpinnings, some with original tags still on them, bought by another but never worn. It takes a bit of hunting and a bit of luck to find the right sizing and fit, but it’s worked out well so far. I’ve decided that putting my money where my mouth is has become my favourite fashion statement. We just donated our (full!) backyard compost bin to our church’s community garden, in preparation for our move. And when The Alpha was preparing to lead the youth mission trip a few weeks ago, he was thinking about stuff to buy ahead of time and mentioned bottled water. I mentioned that the kids really don’t need to be trashing the planet any more than they already are, so he decided to instruct them to bring their own water bottles instead, and supplied refills from one of those big spigoted coolers. Also, the mission trip destination (www.heifer.org/ranch) was all about sustainability. I think they all learned a whole lot that week. I am so jealous of all of you. Ever since Katrina, we do not have curbside recycling. As a matter of fact, any recycling at all requires extreme effort. There is one newspaper recycling bin at a school on my way to work so I often have the place behind my driver’s seat full of papers to drop off. There is no place to take plastic or aluminum or glass. Once or twice a year there is a community drop off for electronics, but I have to drive 30 miles to get to it. I do drive the most gas efficient car possible (Prius). Our other two cars each get over 30 mpgs and we do not buy new cars until the old ones die….repeatedly….like completely dead. My thermostat is set much higher in the summer than the rest of the family likes. I also own and use a clothes line in complete violation of the homeowners association rules. I hate buying bottled drinks, but do and try to refill the bottles as much as possible. I do sew and I refuse to buy new clothes unless absolutely necessary…..but that is more about hating the dressing room than being world conscious.